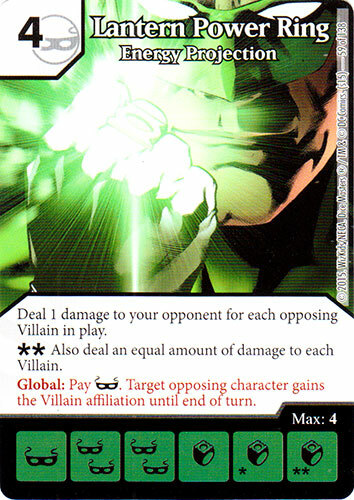 Is that per villain die or per different fielded villain? Cards looking at how many are looking at unique. Cards looking at how few are looking at individual dice. Where did we get a ruling on that? I wasn't aware of anything along those lines other than it defaults to unique characters unless otherwise stated as with Katana - Outsider. Wow. Why the distinction? So confusing. You have to read all the card rulings to break down the context unfortunately. WizKids should compile a list for each and put them up on their forums. maybe the first is to each unique Villain, and the second paragraph to all Villain dices.